Asian Street Food that will not disappoint! 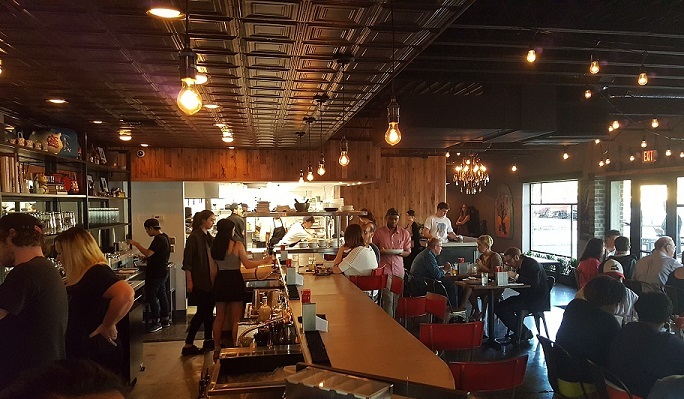 Quick confession: We have tried pretty much every restaurant in Avondale, but prior to this week we hadn’t gotten around to eating at Wooden Goat. Excited to have the chance to try it out during #BRW2016, we called up some friends to join us. We mention this because the staff went above and beyond to accommodate a group larger than the ones they typically host. For the appetizer, we tried both the Watermelon Salad and Tom-Ka. The fresh and juicy Watermelon Salad had cilantro and cucumber with a honey-tofu sauce. It is the perfect appetizer for a warm summer evening. The Tom-Ka was a type of coconut soup that featured cilantro, shiitake mushrooms, and succulent gulf shrimp. The soup was warm and the shrimp had a nice spicy kick. 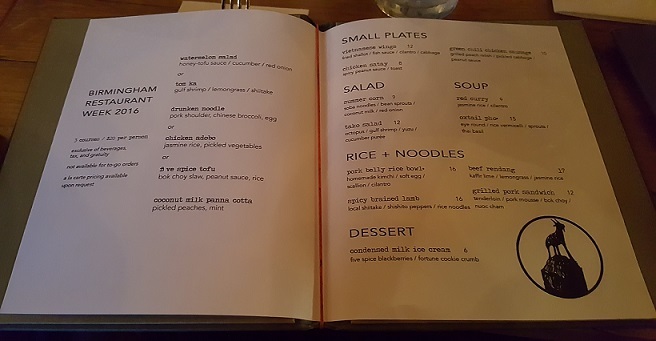 For the main course we first tried the Drunken Noodle and it did not disappoint! 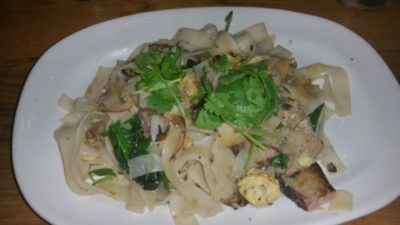 The pork shoulder was very flavorful and the noodles were the perfect consistency with just the right amount of egg. It was slightly spicy with a nice kick. We also tried the Chicken Adobo. Amber is half Filipino, so she is used to the traditional Adobo and had high expectations for this dish. The dish was completely different than what she expected, but was absolutely amazing! The chicken was crispy, but not greasy and the seasoning was incredible! The meat itself was warm and tender. 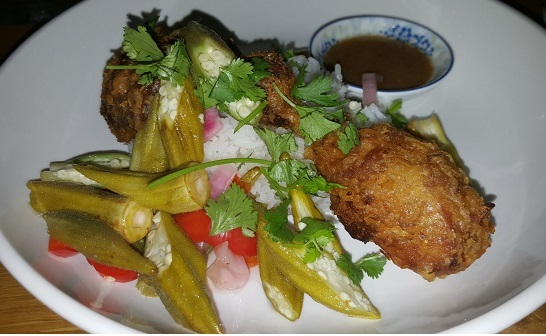 The dish was topped with pickled okra, another favorite of ours. We will definitely be ordering this dish on our next visit. 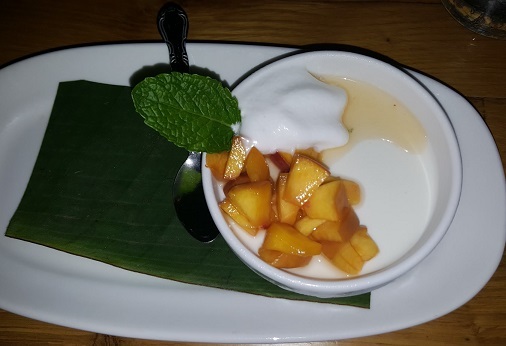 The dessert is Coconut Milk Panna Cotta topped with Pickled Peaches and Mint. It was cool, refreshing, and the peaches were so fresh! It was a perfect dish to finish off the night. 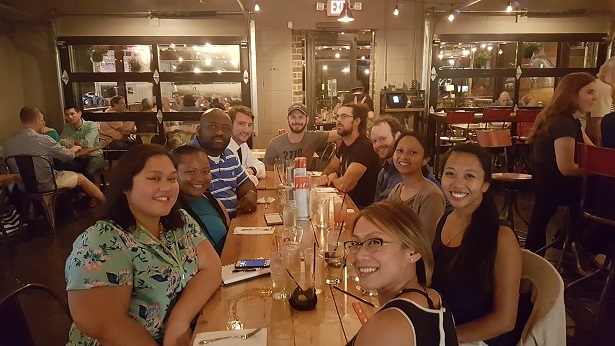 We enjoyed our dinner and it was the perfect venue to catch up with friends. The staff was incredible and we loved everything we tried. Needless to say, we will be going back for more of this delicious Asian Street Food!